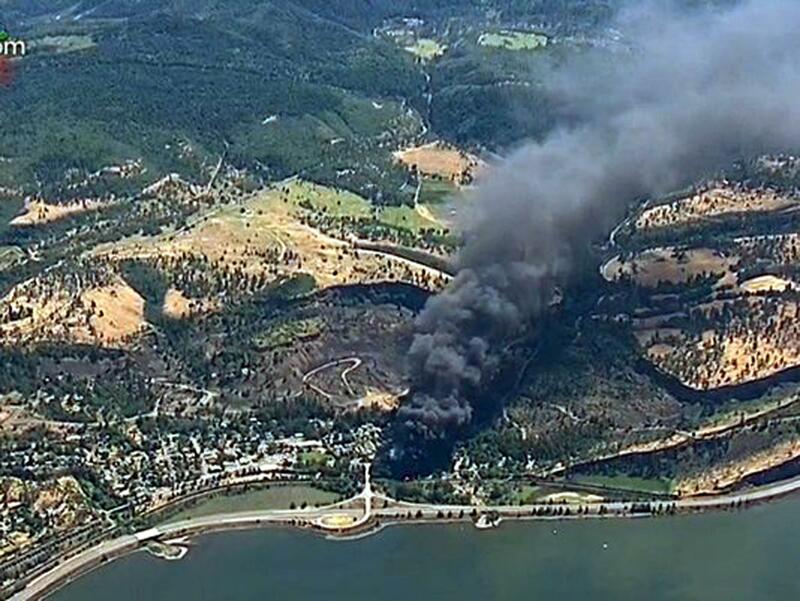 Fri., Nov. 4, 2016, 1:59 p.m.
SEATTLE – An Oregon county has tentatively denied Union Pacific Railroad’s plan to add a second mainline track along the Columbia River Gorge where an oil-train derailed in June. Wasco County commissioners voted Wednesday to reverse its planning commission and deny the 4-mile expansion project proposed in and around Mosier, Oregon. Commission chair Rod Runyon says a final vote is expected Thursday once documents are updated. The Yakama Nation had appealed county planners’ approval in September, saying the project violated tribal treaty rights. Conservation groups also appealed, as did Union Pacific, which challenged conditions placed on it. A Union Pacific spokesman said an email Friday the project is designed to increase efficiency through a bottleneck area and reduce the number of trains idling in Mosier and other Gorge communities. Federal investigators in a preliminary report in late June blamed the June 3 fiery derailment on Union Pacific for failing to properly maintain its track. Published: Nov. 4, 2016, 1:59 p.m.